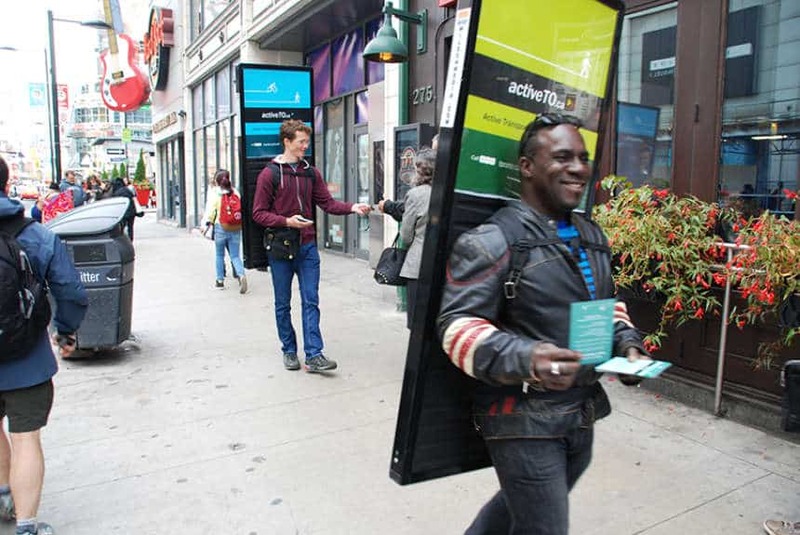 If you want your advertising to be both accessible and personal then Walking Billboards, as part of our Street Media initiative, is certainly the option for you! 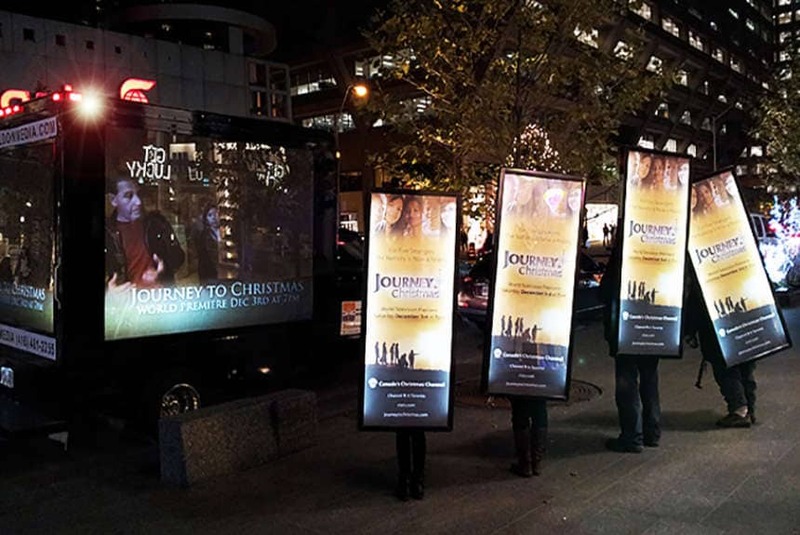 Of all the out-of-home advertising techniques, Walking Billboards offers the most in unique human interaction. Not only is the advertising happening on street level, where the people are, but the message is being delivered in the most human way possible. 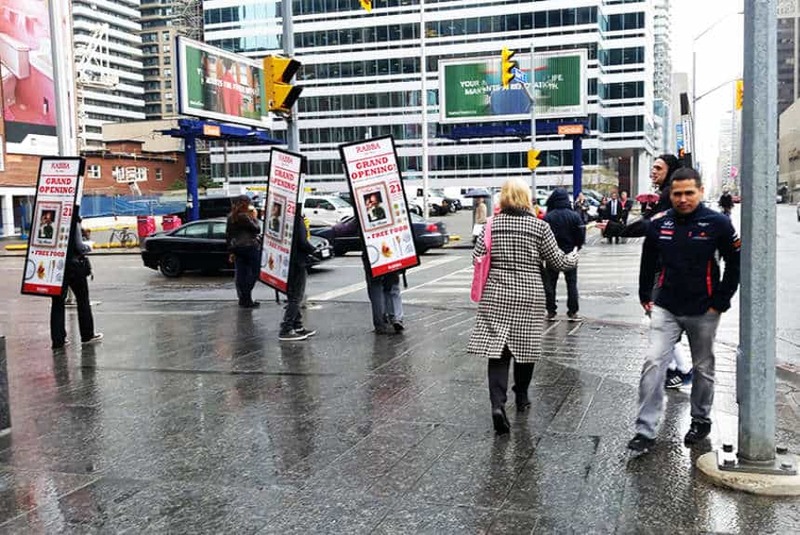 People who pass by these Walking Billboards are encouraged to interact not only with the campaign message at hand, but also with the person delivering it. 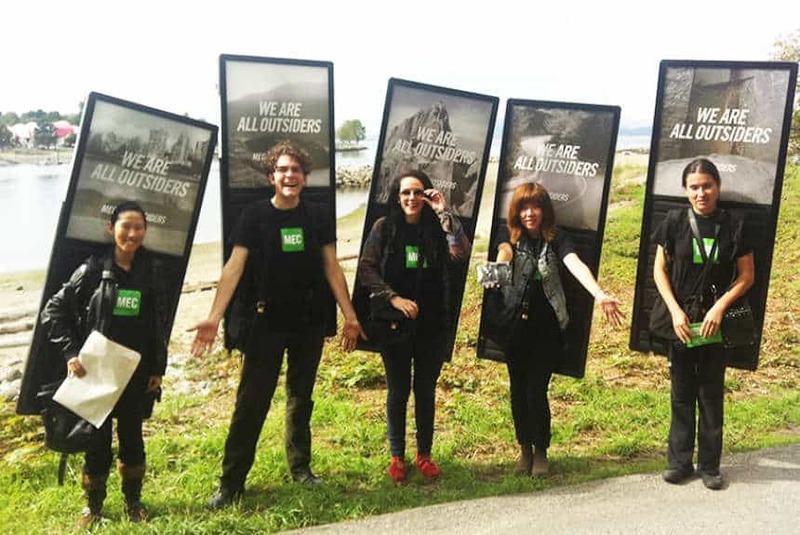 Providing a pleasant and helpful face to your campaign goes a long way with consumers and Wild on Media ensures that our Walking Billboard teams are equipped to be the fresh-faced, articulate representatives your company deserves. We prepare teams of brand ambassadors to wear your company’s advertisement proudly as they take to the streets targeting strategic points in the city. Continuously moving to and from the busiest places in the city ensures that a high volume of people will be exposed to your campaign. Teams consist of anywhere between five to twenty members, and they continuously work together to boost team morale and assist in making your marketing message infectious and readily available. Our billboards are equipped with LED technology that makes marketing possible both day and night. At eye-level, the illuminating sign will catch the eyes of everyone around. The billboards are worn comfortably like a backpack which allows teams to advertise for longer hours. The signs themselves are approximately 57” by 22” with a full sign at the back and a half sign at the front, just above the wearers head. We can custom fit any brand logo, message or campaign poster with stunning colour and quality. Better yet, to demonstrate to your company the results we guarantee, our Walking Billboards are equipped with Smart Sign technology that can record impression statistics from the campaign. We can show you exactly how many people were in radius to our interactions and thus were potentially exposed to your marketing campaign. Partner that with a detailed account of how many promotional materials were distributed, your company is able to quantify the exact effectiveness of your campaign. Wild on Media is determined to deliver our clients more than just the average Walking Billboard experience. That’s why we always leave space open for creative and unique approaches to the medium. Our Brand Ambassadors can appear in any manner that may suite your campaigns needs. This may mean donning costumes, outfits or clothing merchandise to raise awareness. On top of this, cheers and chants are also effective ways to sustain team energy and make sure that your message is heard loud and clear. Of course, handing out promotional materials is a must. Our Walking Billboard teams will make sure that your swag items, coupons and such will fall into the right hands every time! We have team leaders on call and nearby to replenish the teams as demand steadily grows. 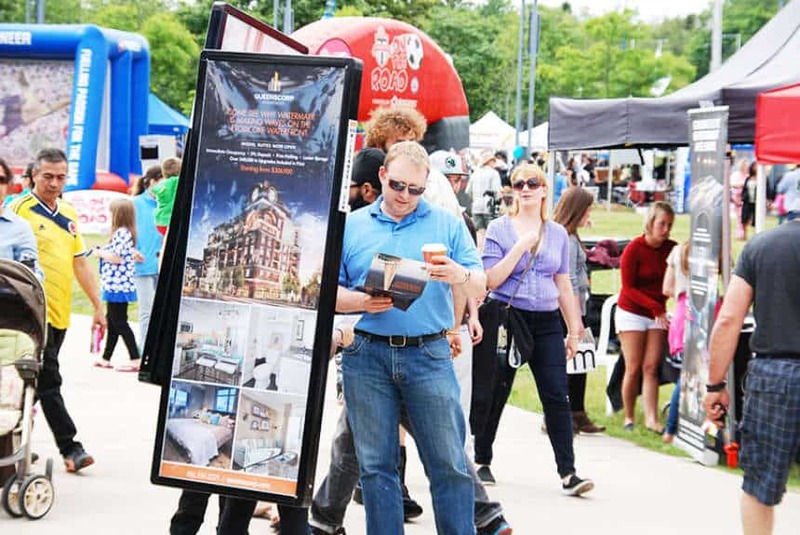 There are many reasons to use Walking Billboards to advertise your marketing campaign and one that sits above the rest is simple. You cannot beat genuine human interaction and that’s precisely what Wild on Media offers with this medium. It gets your advertisement onto the streets, where people can meet and connect over your intriguing ad campaign! Find out how Walking Billboards can work for you.